A variety of creative volunteer ideas can you help bring clean water, adequate sanitation and proper hygiene to those who need them most. There are many creative volunteer ideas out there and many ways for you to get personally involved and make a real difference in your world. Getting involved in the work of bringing clean, safe water to those in need around the world must begin and be supported by constant prayer. Of all the ways you can be involved, prayer is by far the most powerful and the most productive of volunteer ideas. We depend on God for all we have and do. He calls us to tend to the need of others and we depend upon Him to empower, sustain, and bless the work we do. The work we do, we do for His glory first, so that those who do not know Him will see the evidence of His great love first hand. We have the great privilege of coming before God in prayer to ask Him for wisdom to know what to do, when to do it, where to do it, and how to do it. Prayer is power. God loves His children and wants to give them all they need and want to accomplish His will. The calling on our lives to love and help one another is so important and filled with difficulty that we must ask His guidance and blessing on everything we do. Prayer must be our first work. It must be our first priority and our first activity. Since it is the beginning and the sustenance of the work we do, prayer is more important than labor, talent, or mone. The best of volunteer ideas, and the most important thing you can do to get involved with bringing water, sanitation, and hygiene to a world in need, is to partner with an organization, and pray for their work, their workers, and for God to guide and empower them in everything they do. I started volunteering in about 1995. My first experiences were local. I got volunteer ideas from a local volunteer agency, and began working at a foster care group home a couple of days a month. Having been in the Navy for six years, and traveling quite a bit, I knew that I wanted to do some kind of overseas volunteering. In 1996 I got the opportunity to go to Uruguay with a group from my church. Our job, while we were there, was to build a bible school, or part of it anyway. Since then, I have been blessed to travel to many parts of Latin America. Besides Uruguay, I’ve been able to go to Mexico dozens of times (north, south, east, and west), Costa Rica once, Ecuador for two months, and to Brazil. Nothing I have ever done in all my life has touched me and changed me as much as giving my time, labor, and love overseas. New friendships have been forged. My ideas of the world and my place in it have been redefined. There is no education you can ever obtain that will compare with the experience of “going”. If your heart is to do volunteer work overseas , then GO! and see how the rest of the world lives. See their struggles, See how different life is for them, but also see how much you have in common with them. See things through the eyes of someone from another culture. We are but one small part of this world. Everyone wants a better life than they have right now. Every mother wants her children safe and healthy. There is a great big world out there that NEEDS YOU! Let your strengths and passions guide your volunteer ideas. There are many reasons why people volunteer that you may not have thought about. This article, by guest author Eric Weir, discusses important benefits of volunteering. The person that God made you, the gifts He has given you, are just what “the doctor ordered”. Katsutka, Ecuador was a real eye opener to me because, even though we were in the rain forest and it rained every day, there was a shortage of drinking water. That is where I first got the idea for this website. If I knew then what I know now, at the very least, the water situation in Katsutka would have made more sense. And who knows? I may have even been able to offer some solutions. You may need some training. You may need to acquire some skills. But there is a place for everyone with a heart and a call from God to serve overseas. Any kind of training can be considered as volunteer ideas. In many cases we cannot be of much help if we do not have the training and skills required to accomplish the things that need to be accomplished. Learning at least some of the native language, acquiring the required technical skills and knowledge, obtaining insight and sensitivity to the local culture; these are just a few of the volunteer ideas that prepare you to go and make a difference. Often times, an organization will ask what steps you have taken to prepare yourself for the field. Preparing yourself by seeking out and taking advantage of opportunities to learn and grow is one way to get involved in the business of world-changing. As a result of my experiences abroad and the people and organizations I have come to know, I have now reached a place, in my mind and in my heart, where my volunteer ideas are wide open. I would go anywhere and do anything, anytime that God presents the opportunity. Nine Billion Solutions is an organization dedicated to helping people. Their aim is to provide products and solutions to support the global challenges of our generation. The 9B Solutions team is focused on recognizing and solving global issues today in order to lessen the impact of those issues in the future. 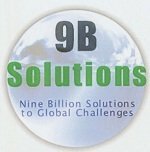 The 9B Solutions focus is to offer best in class services and products for disaster preparedness, provide solutions for those in crisis situations, and provide economic growth opportunities for people in need. Visit their website at www.9bsolutions.com . Increase awareness of issues like clean water and disaster relief and become part of the conversation! There is no end to the variety of volunteer ideas and opportunities that exist for people who have a heart to give of their own finances in support of a special cause or a specific project. I don’t know of any organization that does not accept donations. Most are very dependent upon donations and would not exist without them. Again, you have to ask yourself, what has God called me to do? The Bible says that He gives you the desires of your heart. He plants that desire in you, then, He makes it a reality in your life. So, follow your heart. If you do not desire to travel to the other side of the globe, don’t feel like there is nothing you can do. If you have a heart for helping people, and are looking for volunteer ideas, then you can impact the world through your giving. There is no difference between the sacrifice that one person makes in going to another country to help and the sacrifice that another person makes in giving of their hard earned money to support that person. How could the one go if the other one does not send them? River International is an organization committed to improving the physical and spiritual quality of life for those in need of help worldwide. Their work includes humanitarian aide, education, vocational training and leadership development in communities along the Amazon River near Manaus, Brazil, as well as other communities in South America and Africa. Go to http://www.riverintl.org/ to learn more about this great organization and how you can help support their work around the world. Work is done and change comes through the people who go and do it with their hands and the people who endure the sacrifice of giving in order to send them. If you are reading this, and looking for volunteer ideas, then I can assume that you have a heart for reaching out to the world at large. We do not live on an island or in a vacuum. What we know, who we are, what we learn, belongs to the world and not just to ourselves. As mentioned under “Change That Lasts”, non-profits, NGO’s, and change-agents worldwide are becoming wiser about what it takes to make real, sustainable improvements in the quality of peoples’ lives. There is no substitute or short cut in any culture for building capacity, taking responsibility, and having ownership when it comes to community development and creating lasting change. As donors, or helpers, or "go-ers", or whatever you want to call the developed world, we are most effective acting as the facilitators, and not as the do-ers who have come from across the ocean to “fix all the problems”. This is the advantage of the model for community development that characterizes us as teachers and trainers who empower local individuals and organizations. This is where learning and teaching become the most powerful. We can go, as trainers, to another culture, and teach a group of capable and committed individuals to drill wells, build filters, teach community hygiene, or whatever. Then, those individuals become the teachers and trainers of the communities around them. It is the law of multiplication. Our role is as facilitators. They become the teachers. We step back and give the members of that culture and community the chance to build capacity, and take responsibility and ownership of their own future. There is also a need for teaching at home. Bringing awareness of the issues of poverty and need in other parts of the world is part of the job of every individual who desires to see real change. Hosting a fundraising activity, like a dinner party or a garage sale, for the benefit of your favorite cause or charity becomes a teaching opportunity. You can share about the needs of others, increase awareness here at home, share your experiences with giving, and inform your friends and others about the benefits of giving. You can become involved in the worldwide fight against poverty through increasing the awareness of those issues at home. Becoming involved in fundraising activities or recruiting volunteers brings people face to face with the lives of others who may be less materially wealthy than ourselves. Follow this link for a list of organizations that you can get involved with. Return "Home" from "Volunteer Ideas"